Have a keepsake made from your flowers from any special occasion. Weddings, Funerals, Mother's Day, New Baby and more! I will use your flowers to create this Five Decade Rosary. 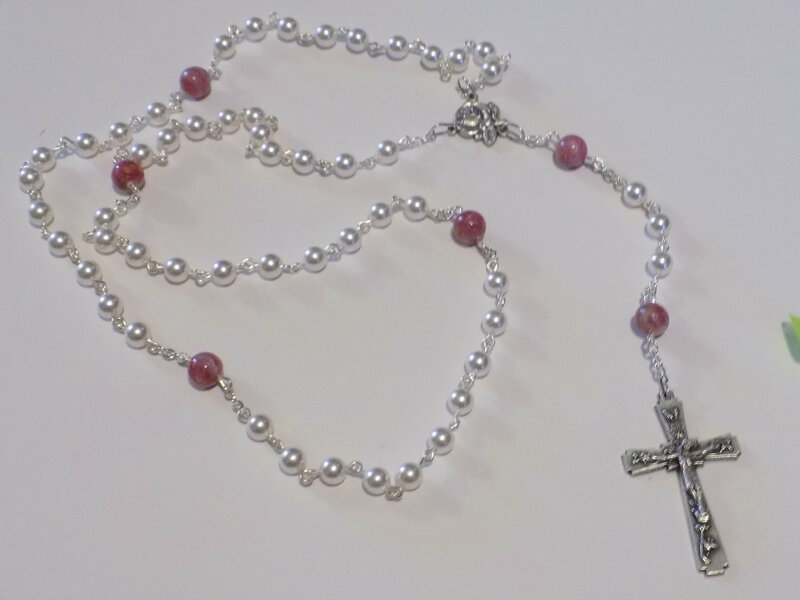 This Rosary will have the Our Father beads made with flower beads and the Hail Marys will be Swarovski pearls or crystals. This listing is for one rosary. Please allow 8-10 weeks from the time I receive your flowers to complete your order. I need a full average sized rose (or the equivalent) for this rosary.